Hey guys, I have been AWOL for a week now. The days pass by so fast I can barely keep up. The adage "So Much To Do, So Little Time," certainly apply to me nowadays. I am easing up to my regular blogging and hopefully can finish a couple of decent post this week. For this inaugural June 1st post, I have a sneak peak of BDJ Box's May 2015 Subscription Box. I know its way past May but BDJ usually sends boxes at the end of the month and me being in the province, I get things several days late. 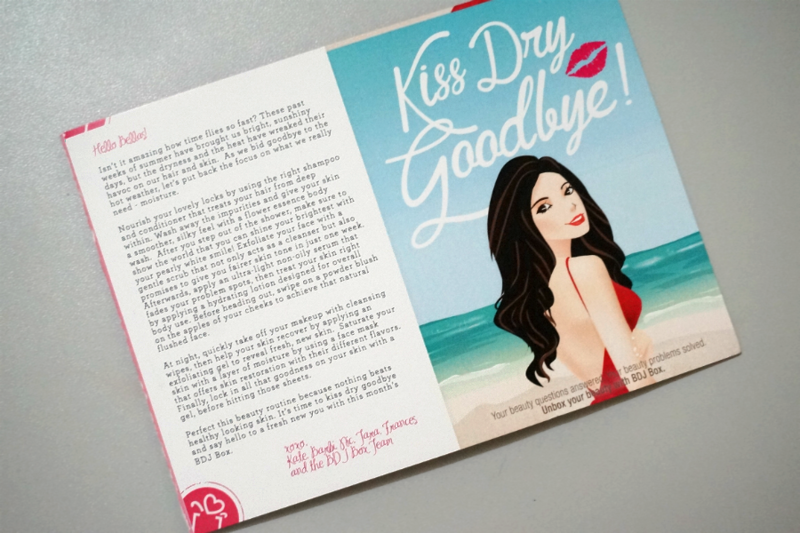 May's subscription box is themed "Kiss Dry Goodbye" in relation to the dry summer days ending. It will surely be raining soon, but not soon enough because this heat is stress-inducing. 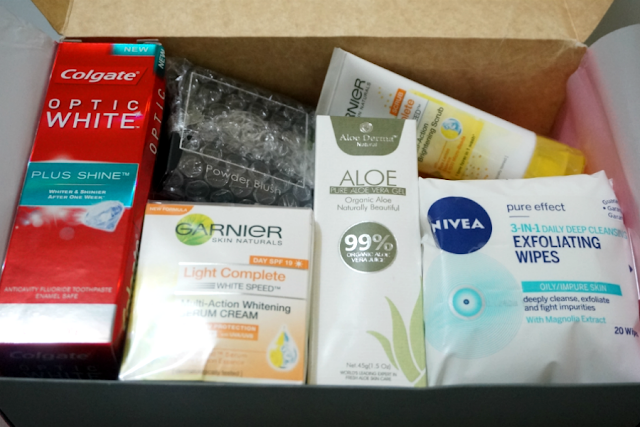 I totally forgot that I subscribed to this box. 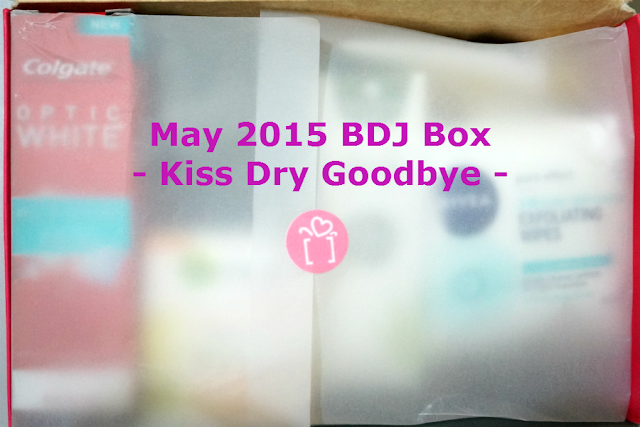 My last BDJ Box was that fun-tastic January 2015 Kawaii Must-Haves. I must have been so happy with that one that I have subscribed to another sometime between that and today. Getting this one today was a thrill as it was totally unexpected. Since this hot off the hands of the delivery man (just a few minutes old! 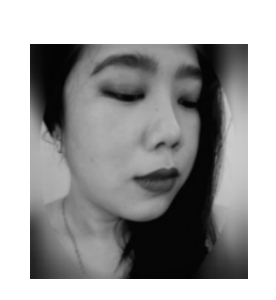 ), I only took initial pictures. 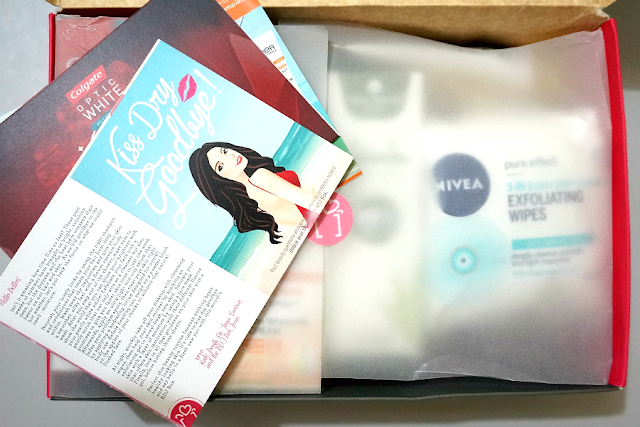 So far, this box looks really promising, but not as make-up focused as the Kawaii one. I will do a proper breakdown and unboxing (maybe even a video) in the coming days. Stay tuned and enjoy the rest of the week peeps!